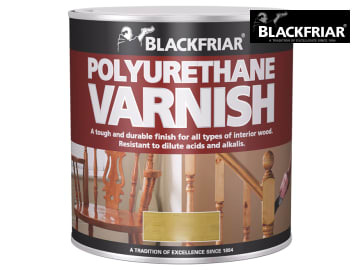 Blackfriars Polyurethane Varnish transforms interior woodwork and gives a tough and durable finish. 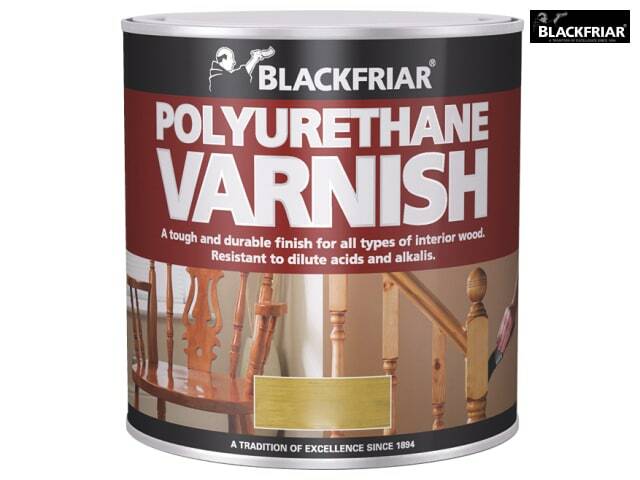 It gives wooden surfaces new life and enhances the natural shades of wooden floors and furniture. Resistant to knocks, heat and diluted acids. Application Method: Brush and Roller.